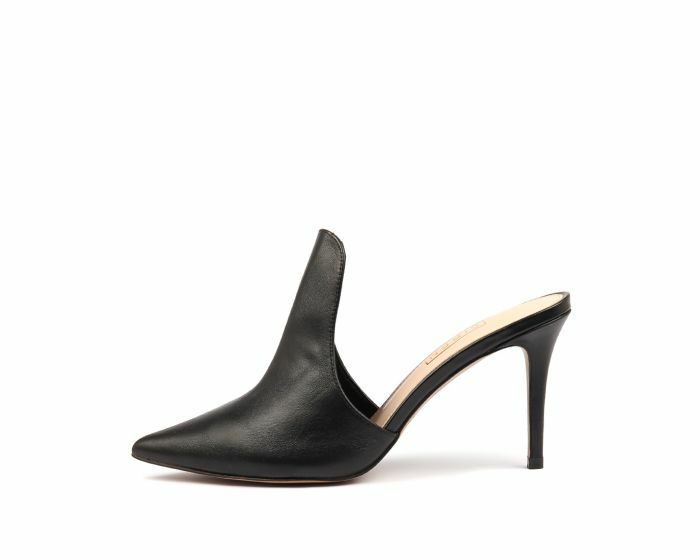 The silhouette of this beautiful mule elongates the leg and adds a sophisticated spin to simple outfits. Rendered in premium leather, this design has a loafer-inspired front panel, with an open rear construction and tall stiletto heel. Whether it's a professional look or an evening ensemble, this shoe is guaranteed to lift your outfits to the next level.